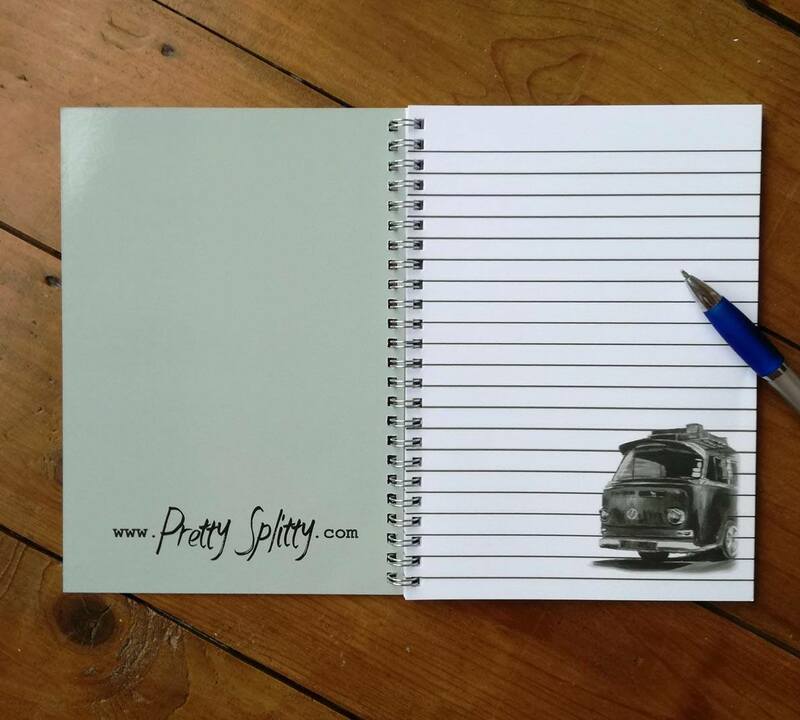 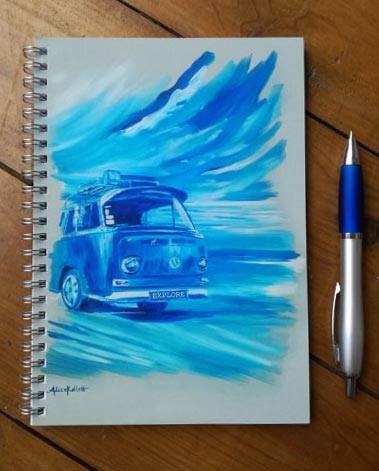 Everyone needs a notebook and this A5 sized Pretty Splitty, spiral bound book is perfect for the camper van lover. 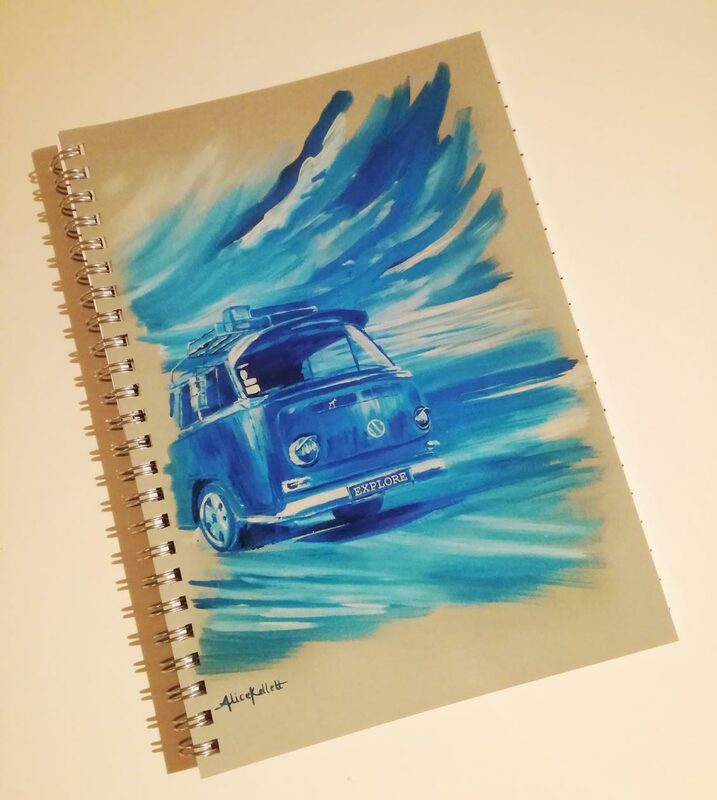 Featuring a blue painting of a gorgeous classic transporter on a grey background originally painted by artist Alice Kellett, it opens up to lined pages with a cute image of the painting inside too. 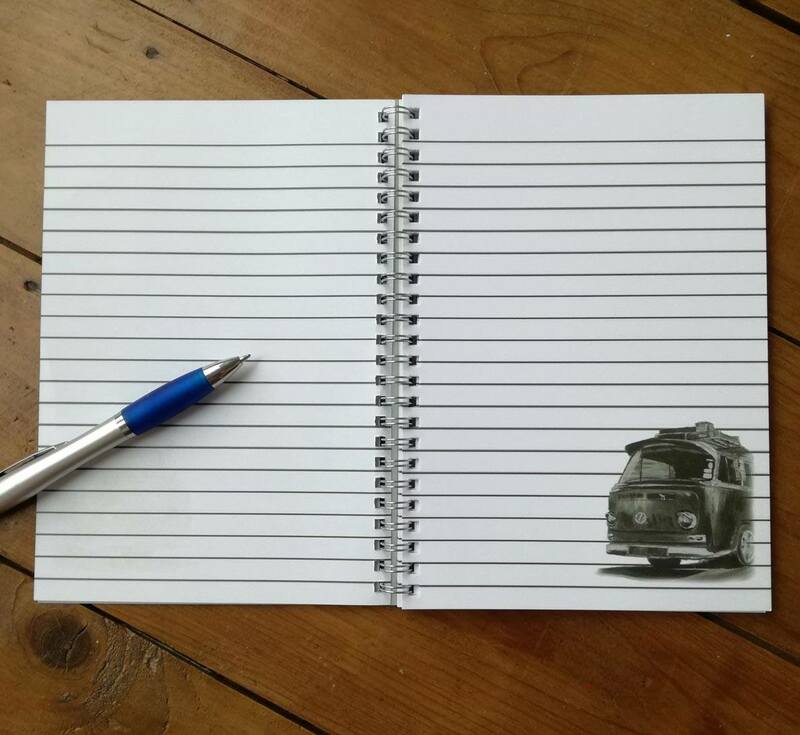 This is the perfect little addition to your stationary collection or a high quality affordable gift.